It is well known that the combination of year-round sunshine, colorful communities and an incredible array of facilities and amenities help to make San Diego one of the most desirable places to live in America. When it comes to deciding where to live in this tremendous city, you have more than 120 different neighborhoods to choose from, each with their own character and appeal. To help you decide where to buy your new home, here is our guide to 5 of ​​​​​​​the the most up and coming neighborhoods in San Diego during 2017. 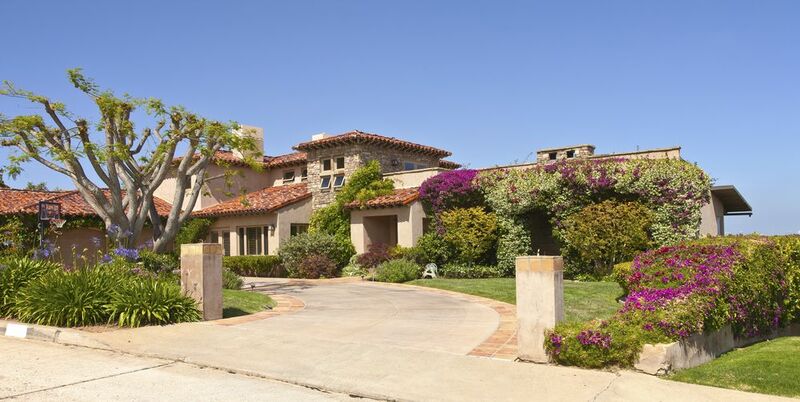 Del Sur is situated alongside the popular neighborhoods of Rancho Bernardo and 4S Ranch and is nestled in around 1000 acres of beautiful Californian open space. A variety of housing is available including single-family houses, townhouses, million-dollar-plus properties and a community for seniors. The younger residents of Del Sur are educated in schools belonging to the prestigious and award-winning Poway Unified Schools District, which includes access to Design39Campus School – renowned for brilliant teaching of digital design. The population of Del Sur is largely diverse, educated families who enjoy the relaxed, suburban pace, but still value the variety of available amenities including grocery stores, restaurants, boutique stores, parks and trails. Prices for single family homes usually start in the late $500s. If you are looking for a neighborhood with a rich, community-feel then look no further than Talmadge. Tucked away between City Heights and Kensington, Talmadge is a mid-city neighborhood that is packed with an eclectic variety of homes, from Cape Cod-inspired bungalows to Spanish Revival style properties. The majority of the properties in Talmadge are single-family homes with spacious backyards. There are plenty of community-spirited events here, with everything from block parties to their infamous Halloween Parade. Children living in this ‘hood attend schools belonging to the San Diego Unified School District, and San Diego State University campus is just a few minutes away. There are also several private school options. Prices for most homes fall between the $500s and $600s, although there are some condos available for under $400k. Oak Park is another mid-city neighborhood, and one that has seen a total u-turn in desirability over the last few years. Now a diverse landscape situated in the south-east region of the city, Oak Park is where young, passionate community members come together to continue to re-invent this up and coming neighborhood. There are a selection of single family homes, condos and apartments, as well as an area of Navy housing. Children in the area attend schools belonging to the San Diego Unified School District, and there are a range of amenities including fishing, hiking trails, a playground and an ampitheater to enjoy. Oak Park properties are available starting from the low $100s for a condominium, to low to mid $400s for a family home. Grant Hill is currently experiencing an influx of residents who are moving out of expensive downtown San Diego, and instead hoping to join the diverse yet close community of Grant Hill. Many of the families have lived here for generations, and there are many neighborhood stories to be heard and told. Street vendors too are here in earnest, and there are a wide variety of foods to try including Jamaican, Mexican and Salvadoran. The younger generation attend schools in the San Diego Unified School District, although the more popular Coronado Unified School District is also nearby. There are no high schools directly in the ‘hood, but there are a couple just a short commute away. Properties in Grant Hill range in style from Spanish Colonial to traditional Californian bungalows. However, rents are generally a little lower here, and if you are buying and you are prepared to put a little work in to a property, a decent fixer-upper can be bought in the low $200s. Construction is now well underway in Bankers Hill and this residential pocket in one of the city’s oldest neighborhoods is now set to welcome a range of new apartment and condo blocks. This neighborhood perfectly fuses urban attitude with walkable and cycle-friendly streets, and has a wide range of amenities to suit everyone from students, to families to active senior citizens. There is an array of education opportunities in Bankers Hill. While children attend schools in the San Diego Unified School District, a private college prep academy and the California Western School of Law and Language Studies International are also nearby.